Trainer, Consultant, and Toyota Kata expert, Leigh Ann Schildmeier (president and founder of Park Avenue Solutions) employs her expertise in Kata and love of golf to take a swing at demonstrating how this powerful continuous improvement methodology can be used to make systematic, sustainable improvement in any process or skill. Four steps and five questions can start building a habit of continuous improvement through application of the principles of Kata. 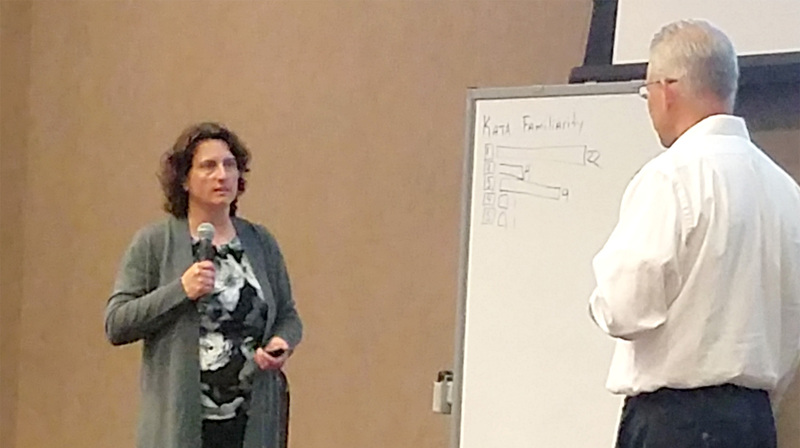 Strive Fore Five demonstrates the basics of the Toyota Kata methodology (as developed by lean guru Mike Rother), taking incremental steps toward improvement in a real-world application. 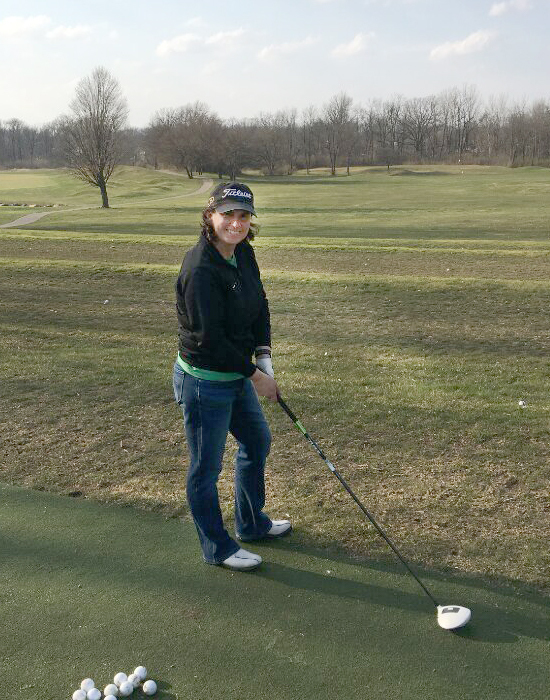 A lifelong golfer with a competitive 9 handicap, Leigh Ann has often dreamed of playing the top golf courses around the world. With visions of hitting the greens at St. Andrews, Pine Valley, Augusta, and the like, she wants to improve her handicap to play those renowned courses without looking like, well, an amateur. Envisioning what success would look like, she challenged herself to bring her handicap down to 5. And so the challenge begins! After decades of studying, teaching, and consulting in Lean, Six Sigma, and other continuous improvement methodologies and techniques, it was only natural that Leigh Ann would choose to employ her professional expertise to tackle this sports challenge. Analyzing the various options, she selected the scientific approach of the Improvement Kata and the Coaching Kata. Employing a scientific approach rather than random "testing"
Kata is a methodology that, with proper training and practice, will develop the habit, the skills, and eventually the culture/mindset of continuous improvement. As such, Kata can work on any process, any service, yes, any sport. 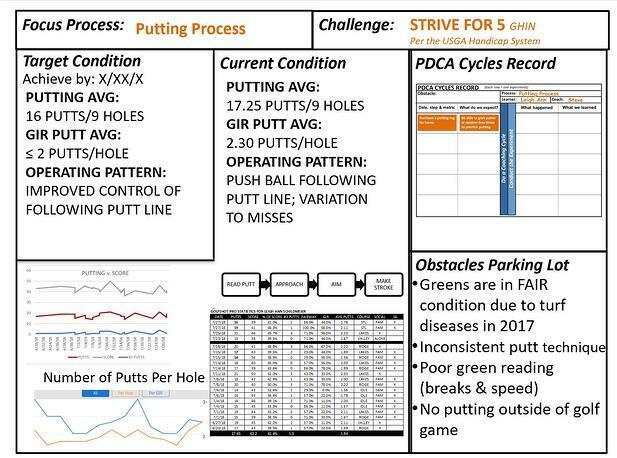 Once Leigh Ann decided to employ Kata as her improvement methodology, she set up her project, starting by setting up a Kata Story Board (image below) and establishing the Challenge (or Vision): STRIVE FORE 5 - Improve her golf handicap from a 9 to a 5 after hit and miss attempts. What Obstacles do you think are preventing you from reaching your target condition? What is your Next Step (Experiment)? What did you learn from that step/experiment? Unlike spearheading an ambitious, one-time change initiative, Coaching Kata can start small and pay lasting dividends by empowering each and every team member, from CEO to floor sweeper, to encourage daily improvement through their own actions. Kata can also be used to augment and improve the success of other continuous improvement methodologies. Whether it’s an establishing manufacturing process or a startup project phase, Strive Fore Five provides insights on a methodology that can be used to solve issues and problems, as well as mitigate impediments during various stages of any process or project. The principles are applicable to all levels of continuous improvement knowledge and all industries. The Improvement Kata is one approach that provides the appropriate context. Check this page often for updates on Leigh Ann's process and progress changing her game with Kata — Strive Fore Five! Leigh Ann Schildmeier will present Strive Fore Five on Wednesday, March 13, 2019, at the 18th Annual Lean Six Sigma World Conference in San Antonio, TX. Can't make the event but want to know more about how Kata can help your team? Click below for more information. Park Avenue Solutions is a management consulting firm that specializes in business process improvement strategies and applying Lean Principles that empowers and elevates organizational excellence. ©2019 Park Avenue Solutions. All rights reserved.